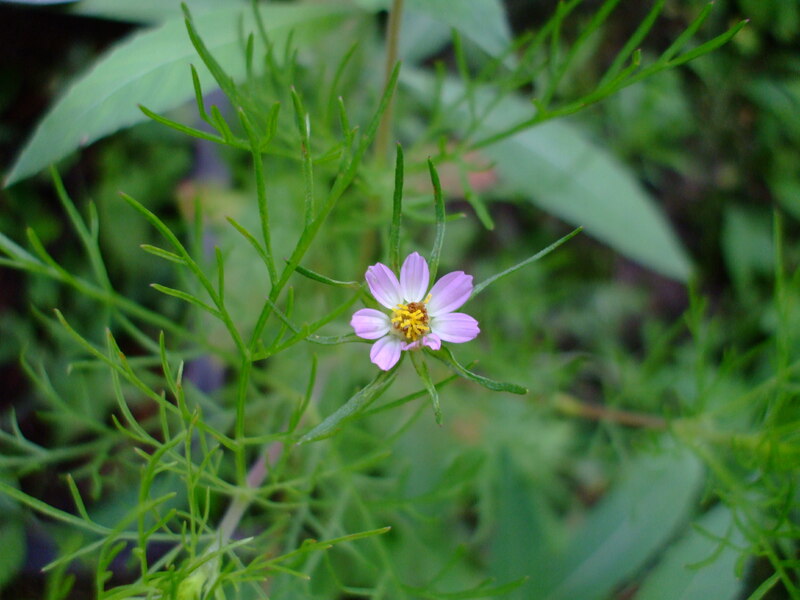 Cosmos parviflorus, or southwestern cosmos, is native to Texas, New Mexico, Arizona, Colorado, Missouri, Maine, Rhode Island and Massachusetts. 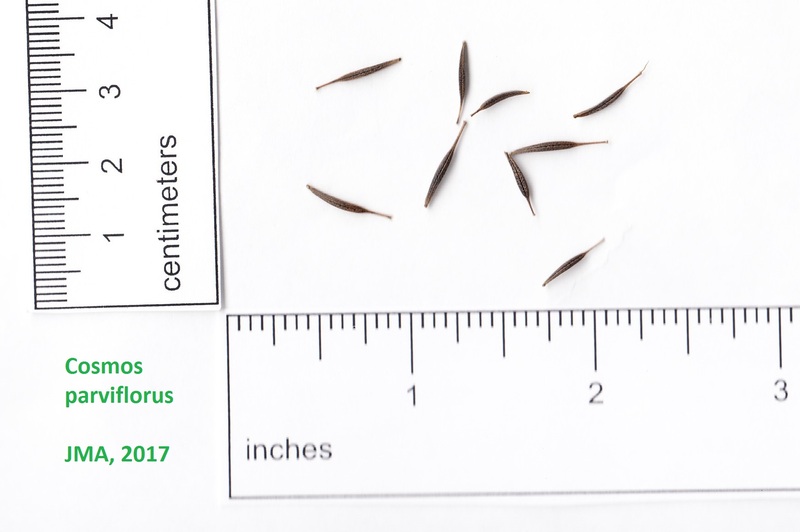 It grows in dry clearings in conifer forests. In our yard, this grows in the Prairie Area.